Cities: Capital: Santo Domingo (pop. 2.25 million). Other city — Santiago de los Caballeros (942,509). Nationality: Noun and adjective — Dominican(s). Population (2012 est. ): 10.09 million. Annual population growth rate (2012 est. ): 1.3%. Ethnic groups: Mixed 73%, European 16%, African origin 11%. Education: Years compulsory: 6. Attendance — 70%. Literacy — 84.7%. Health: Infant mortality rate: 19/1,000. Life expectancy — 75.28 years for men, 79.69 years for women. Constitution: November 28, 1966 (amended July 25, 2002); 2010. Branches: Executive: president (chief of state and head of government), vice president, cabinet. Legislative — bicameral Congress (Senate and House of Representatives). Judicial — Supreme Court of Justice. Political parties: Dominican Liberation Party (PLD), Dominican Revolutionary Party (PRD), Social Christian Reformist Party (PRSC), and several others. Real GDP growth rate: 4.5%. Per capita nominal GDP (est. ): $5,780. Agriculture (7.3% of real GDP): Products — rice, poultry, sugar, cacao, tobacco, coffee. Non-manufacturing industry (4.5% of real GDP): Construction and mining. Manufacturing industry (21.3% of real GDP): Beverages and tobacco, free trade zone (FTZ) textiles and wearing apparel, sugar, coke and refined petroleum products, grains. Services (64.7% of real GDP): Communications, commerce, tourism, real estate, transport and storage. Trade: Exports: U.S. $7.792 billion (f.o.b. 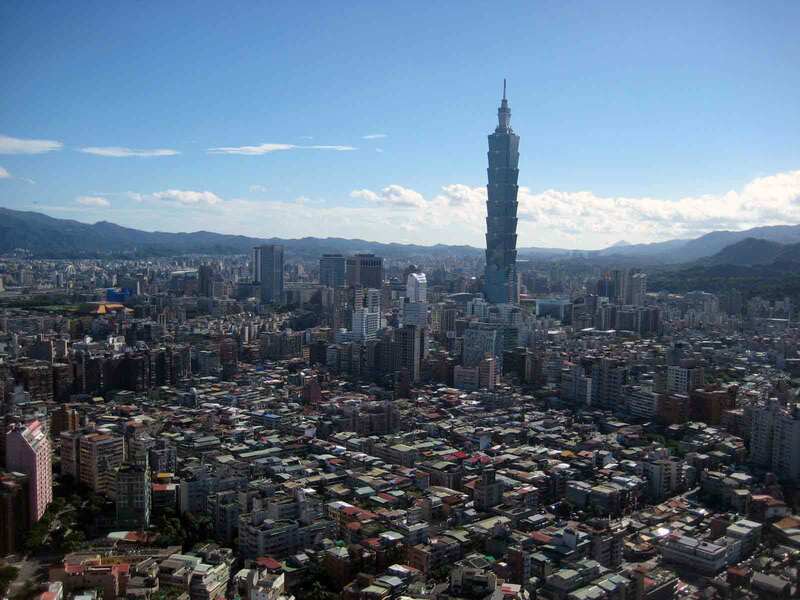 ), including free trade zones: FTZ exports (textiles, electronic products, jewelry, tobacco, pharmaceuticals, shoes), cacao, sugar, tobacco, coffee. Markets — U.S. (52.3%, including Puerto Rico) Haiti, Western Europe. Imports — U.S. $18.38 billion (f.o.b. ), including free trade zones: petroleum and petroleum-derived products, durable consumer goods (automobiles, etc. ), foodstuffs. Suppliers — U.S. (44%, including Puerto Rico), Venezuela, Taiwan, China, Mexico, Colombia. Slightly fewer than half of Dominicans live in rural areas; many are small landholders. Haitians form the largest foreign minority group. All religions are tolerated; the state religion is Roman Catholicism. In 1930, Rafael L. Trujillo, a prominent army commander, established absolute political control. Trujillo promoted economic development — from which he and his supporters benefited — and severe repression of domestic human rights. Mismanagement and corruption resulted in major economic problems. In August 1960, the Organization of American States (OAS) imposed diplomatic sanctions against the Dominican Republic as a result of Trujillo's complicity in an attempt to assassinate President Romulo Betancourt of Venezuela. These sanctions remained in force after Trujillo's death by assassination in May 1961. In November 1961, the Trujillo family was forced into exile. Additional U.S. forces subsequently established order. In June 1966, President Balaguer, leader of the Reformist Party (now called the Social Christian Reformist Party — PRSC), was elected and then re-elected to office in May 1970 and May 1974, both times after the major opposition parties withdrew late in the campaign. In the May 1978 election, Balaguer was defeated in his bid for a fourth successive term by Antonio Guzman of the Dominican Revolutionary Party (PRD). Guzman's inauguration on August 16 marked the country's first peaceful transfer of power from one freely elected president to another. Balaguer was returned to the presidency with electoral victories in 1986 and 1990. Upon taking office in 1986, Balaguer tried to reactivate the economy through a public works construction program. Nonetheless, by 1988 the country had slid into a 2-year economic depression, characterized by high inflation and currency devaluation. Economic difficulties, coupled with problems in the delivery of basic services — e.g., electricity, water, transportation — generated popular discontent that resulted in frequent protests, occasionally violent, including a paralyzing nationwide strike in June 1989. Since 1996, the Dominican electoral process has been seen as generally free and fair. In June 1996, Leonel Fernandez Reyna of the Dominican Liberation Party (PLD) was elected to a 4-year term as president. Fernandez's political agenda was one of economic and judicial reform. He helped enhance Dominican participation in hemispheric affairs, such as the OAS and the followup to the Miami Summit. On May 16, 2000, Hipolito Mejia, the PRD candidate, was elected president in another free and fair election, defeating PLD candidate Danilo Medina and former president Balaguer. Mejia championed the cause of free trade and Central American and Caribbean economic integration. The Dominican Republic signed a free trade agreement (CAFTA-DR) with the United States and five Central American countries in August 2004, in the last weeks of the Mejia administration. During the Mejia administration, the government sponsored and obtained anti-trafficking and anti-money-laundering legislation, sent troops to Iraq for Operation Iraqi Freedom, and ratified the Article 98 agreement it had signed in 2002. Mejia faced mounting domestic problems as a deteriorating economy — caused in large part by the government's measures to deal with massive bank fraud — and constant power shortages plagued the latter part of his administration. During the Mejia administration, the constitution was amended to permit an incumbent president to seek a second successive term, and Mejia ran for re-election. On May 16, 2004, Leonel Fernandez was elected president, defeating Mejia 57.11% to 33.65%. Eduardo Estrella of the PRSC received 8.65% of the vote. Fernandez took office on August 16, 2004, promising in his inaugural speech to promote fiscal austerity, to fight corruption and to support social concerns. Fernandez said the Dominican Republic would support policies favoring international peace and security through multilateral mechanisms in conformity with the United Nations and the OAS. On May 16, 2008, President Fernandez was re-elected president with 53.8% of the vote. The Fernandez administration works closely with the United States on law enforcement, immigration, and counterterrorism matters. Congressional and municipal elections were held in May 2010, with Fernandez's PLD winning a slim majority of seats in the House of Representatives and 31 of 32 Senate seats, as well as a plurality of mayoral seats. President Fernandez's role in the victorious congressional campaign led his supporters to promote his candidacy for re-election in 2012. The new constitution promulgated in January 2010 would seem to prohibit this, and ultimately Fernandez announced that he would not run in the 2012 elections. Following primary contests, the 2012 presidential race is divided between the ruling PLD's candidate, Danilo Medina, and the opposition PRD's candidate, former President Hipolito Mejia. The Dominican Republic is a representative democracy with national powers divided among independent executive, legislative, and judicial branches. The president appoints the cabinet, executes laws passed by the legislative branch, and is commander in chief of the armed forces. The president and vice president run for office on the same ticket and are elected by direct vote for 4-year terms. Legislative power is exercised by a bicameral Congress — the Senate (32 members) and the House of Representatives (178 members). 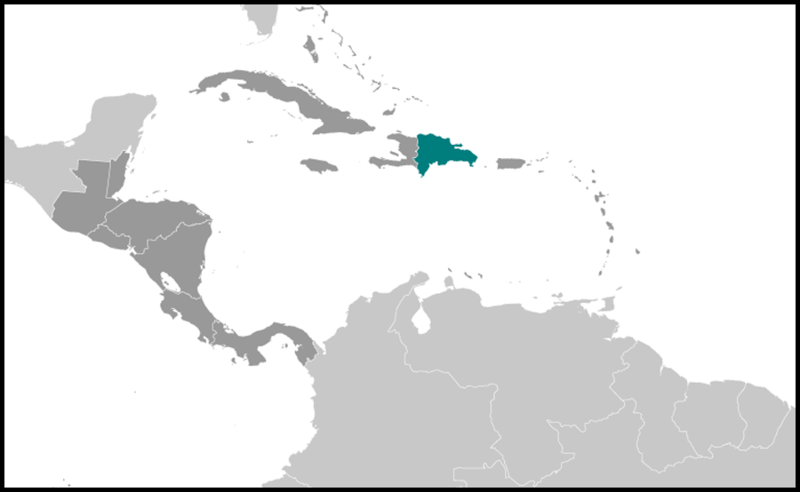 The Dominican Republic has a multi-party political system that until 2010 held national elections every 2 years (alternating between presidential elections and congressional/municipal elections). The 2010 constitution adjusted the terms of the 2010 elections on a one-time basis to 6 years, so that beginning in 2016 the presidential, congressional, and municipal elections will be held simultaneously every 4 years in years evenly divisible by four. International observers have found that presidential and congressional elections since 1996 have been generally free and fair. Elections are supervised by a Central Elections Board (JCE) of 9 members chosen for a 4-year term by the newly elected Senate. JCE decisions on electoral matters are final. The Dominican Republic maintains an embassy (http://www.domrep.org/) in the United States at 1715 22nd Street NW, Washington, DC 20008 (tel. 202-332-6280). The armed forces have organized a Specialized Airport Security Corps (CESA), a Specialized Port Security Corps (CESEP), and a Specialized Border Security Corps (CESFRONT) to meet international security needs in these areas. Additionally, the armed forces provide 75% of personnel to the National Investigations Directorate (DNI) and the Counter-Drug Directorate (DNCD). The Dominican National Police force has 32,000 agents. The police are not part of the Dominican armed forces, but share some overlapping security functions. Sixty-three percent of the force's members serve in areas outside traditional police functions, similar to the situation of their military counterparts. After a decade of little to no growth in the 1980s, the Dominican Government initiated a program of economic reform in the early 1990s, adopting sound macroeconomic policies and opening the country to foreign investment. The economy grew at an average rate of 7.6% annually from 1996 to 2000. Growth faltered in the early 2000s as several of the Dominican Republic's main trading partners suffered recessions, reducing demand for manufactured goods. The economy contracted in 2003 (-0.3%) in the wake of a domestic banking crisis. The Mejia administration negotiated an IMF standby agreement in August 2003, though failed to comply with fiscal targets. The Fernandez administration signed the agreement in January 2005, after securing required tax legislation. Fernandez successfully renegotiated official bilateral debt with Paris Club member governments, commercial bank debt with London Club members, and sovereign debt with a consortium of lenders. Growth recovered, averaging 7.8% from 2004 to 2007. The standby agreement concluded in January 2008 with fiscal and financial targets largely met but reform in the electricity sector and financial markets unrealized. The global economic crisis, and in particular the U.S. recession, started to impact the Dominican economy in 2008. Remittances, exports, and tourism fell, and continued to fall throughout 2009, driving down government revenue. In October 2009, seeking to shore up dwindling revenues and improve its ability to secure more favorable rates with private lenders, the Fernandez administration negotiated a new 28-month, U.S. $1.7 billion IMF standby agreement; it was approved by the IMF in November 2009. Among other goals, the agreement aimed to address the unrealized reform from the previous agreement by addressing electricity sector inefficiencies and improving fiscal management. In February 2012, the Dominican Government announced it was discontinuing the agreement due to the IMF's demands to increase electricity rates further. The Dominican Republic's most important trading partner is the United States. Other markets include Haiti, Western Europe, and China. The country exports goods manufactured in free trade zones (FTZs), such as textiles, electronic products, jewelry, tobacco, and pharmaceuticals, as well as cacao, sugar, tobacco, and coffee. Aside from inputs into FTZs, it imports petroleum and petroleum-derived products, durable consumer goods (automobiles, etc. ), and food and foodstuffs. On September 5, 2005, the Dominican Congress ratified the free trade agreement with the U.S. and five Central American countries known as CAFTA-DR. The CAFTA-DR agreement entered into force for the Dominican Republic on March 1, 2007. U.S. direct investment in the Dominican Republic is primarily in the manufacturing sector. Remittances were over $3 billion in 2011. FTZs accounted for an estimated U.S. $4.08 billion in Dominican exports for 2010 (61.8% of total exports). FTZ exports rebounded after a slump in 2009, though they are still roughly 15% lower than they were at their peak in 2000. The textiles sector — which constituted 53.6% of FTZ exports in 2000 — has increasingly played a smaller role in the FTZ sector. It experienced an estimated 17% drop since 2008 (and a 62% drop since 2000) due in part to the appreciation of the Dominican peso against the dollar, Asian competition following expiration of the quotas of the Multi-Fiber Arrangement, and a government-mandated increase in salaries. In 2009, the largest category of FTZ exports was the aggregate of non-traditional FTZ exports followed by textiles and electric products. An ongoing concern in the Dominican Republic is the inability of participants in the electricity sector to establish long-term financial viability for the system. The sector is divided between privately-owned electricity generators and state-owned electricity distributors. Installed generation capacity is currently adequate, but a steadily increasing demand coupled with anemic recapitalization in generation point toward a looming shortage. Baseline demand is projected to overtake installed capacity by 2014. The investment climate remains unattractive due to late payment to generators by the government-owned distribution companies and the worries that generators have about fair competition. In 2009, the World Bank recorded that electricity distribution losses totaled about 40%, a rate of loss exceeded in only two other countries. Estimates continue to place total losses in the range of 35% to 42% due to low collection rates, theft, infrastructure problems, and corruption. As a result, the government is always in arrears to the generators, and timely payments remain a challenge. An estimated 85% of Dominican citizens receive a subsidized billing rate, which was projected to cost the government U.S. $1 billion in 2011. In response, the government announced an across-the board 8% increase in electricity rates in 2011, citing the relentless rise in oil prices. This followed an 11% rate increase on December 1, 2010. The Dominican Republic has a close relationship with the United States and with the other states of the inter-American system. It has accredited diplomatic missions in most Western Hemisphere countries and in principal European capitals. The Dominican Government has regularly appealed for international support for its island neighbor, Haiti. There is a sizeable Haitian migrant community in the Dominican Republic, many of whom lack residence permits and citizenship documentation. The Dominican Republic is a founding member of the United Nations and participates in many of its specialized and related agencies, including the World Bank, International Labor Organization, International Atomic Energy Agency, and International Civil Aviation Organization. It is a member of the OAS and of the Inter-American Development Bank. The U.S. has a strong interest in a democratic, stable, and economically healthy Dominican Republic. 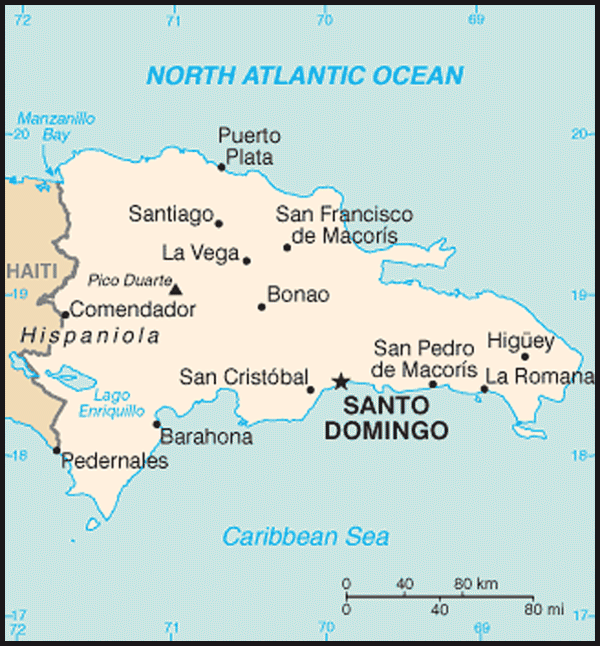 The country's standing as the largest Caribbean economy, second-largest country in terms of population and land mass, with large bilateral trade with the United States, and its proximity to the United States and other smaller Caribbean nations make the Dominican Republic an important partner in hemispheric affairs. The Embassy estimates that 100,000 U.S. citizens live in the Dominican Republic; many are dual nationals. An important element of the relationship between the two countries is the fact that more than 1 million individuals of Dominican origin reside in the United States, most of them in the metropolitan Northeast and some in Florida. U.S. relations with the Dominican Republic are excellent, and the U.S. has been an outspoken supporter of the country's democratic and economic development. The Dominican Government has been supportive of many U.S. initiatives in the United Nations and related agencies. The two governments cooperate in the fight against the traffic in illegal substances. The Dominican Republic has worked closely with U.S. law enforcement officials on issues such as the extradition of fugitives and measures to hinder illegal migration. The United States supports the Fernandez administration's efforts to improve Dominican competitiveness, to attract foreign private investment, to fight corruption, and to modernize the tax system. Bilateral trade is important to both countries. U.S. firms, mostly manufacturers of apparel, footwear, and light electronics, as well as U.S. energy companies, account for much of the foreign private investment in the Dominican Republic. U.S. goods exports to the Dominican Republic in 2010 were U.S. $6.5 billion, up 24.4% from 2009, 8% from 2006 (pre-CAFTA-DR), and 134% from 1994 (the year prior to the Uruguay Round). The Dominican Republic was the United States' 35th-largest goods export market in 2008. The Dominican Republic's exports to the U.S. in 2010 were U.S. $3.46 billion, an increase of 6% over 2009. The U.S. Embassy works closely with U.S. business firms and Dominican trade groups, both of which can take advantage of the new opportunities in this growing market. At the same time, the Embassy is working with the Dominican Government to resolve a range of ongoing commercial and investment disputes. The Embassy counsels U.S. firms through its Country Commercial Guide and informally via meetings with business persons planning to invest or already investing in the Dominican Republic. This is a challenging business environment for U.S. firms, especially for small to medium businesses. The U.S. Agency for International Development (USAID (http://www.usaid.gov/locations/latin_america_caribbean/country/dominican_republic/index.html) mission is focused on improving access of underserved populations to quality health care and combating HIV/AIDS and tuberculosis (TB); promoting economic growth through policy reform, support for CAFTA-DR implementation, and technical assistance to small producers and tourism groups; environmental protection and policy reform initiatives; improved access to quality primary, public education and assistance to at-risk youth; a model rural electrification program; and improving participation in democratic processes, while strengthening the judiciary and combating corruption across all sectors. The U.S. Embassy (http://santodomingo.usembassy.gov/) is located at the corner of Calle Cesar Nicolas Penson and Calle Leopoldo Navarro, Gazcue District, Santo Domingo (tel. 809-221-2171).